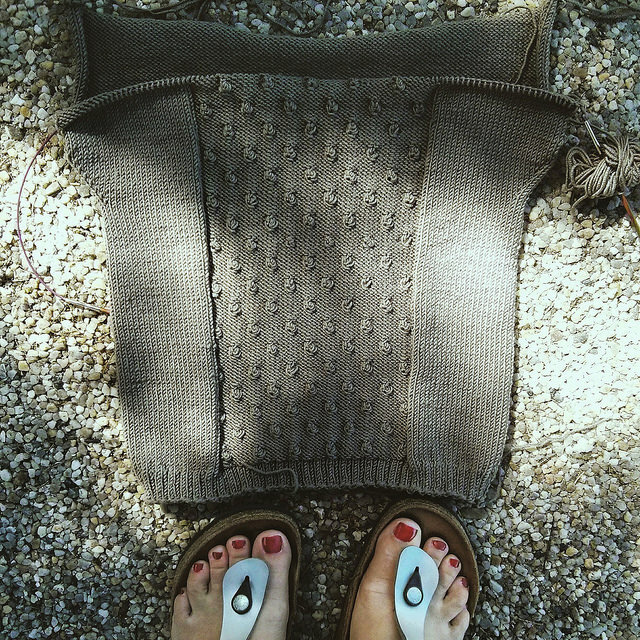 I made my very first colorwork sweater – steeking and all! 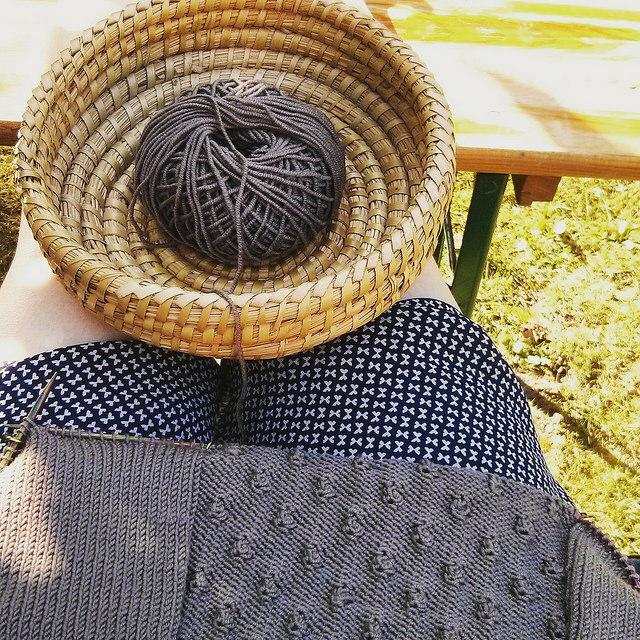 When I read about a colorwork that was held at Wollen Berlin I knew this would be the time to do it and I immediately signed up for it. The following pictures are a little documentation of my progress. See my ravelry notes here. 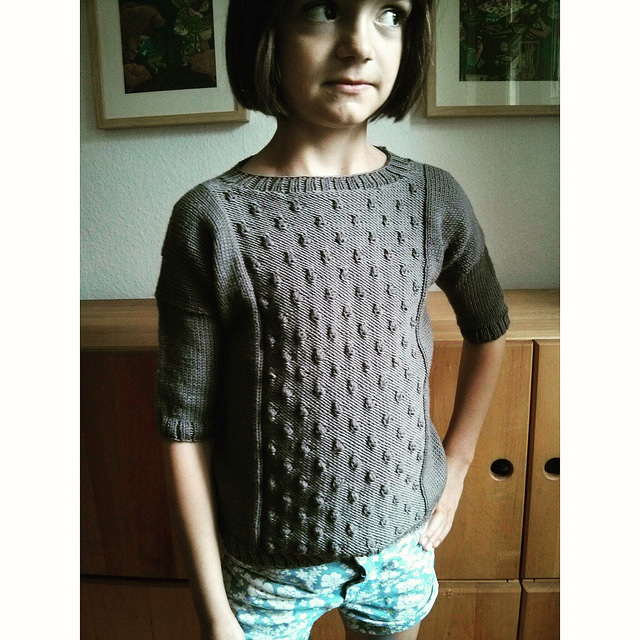 I loved to knit this little sweater for my girl. 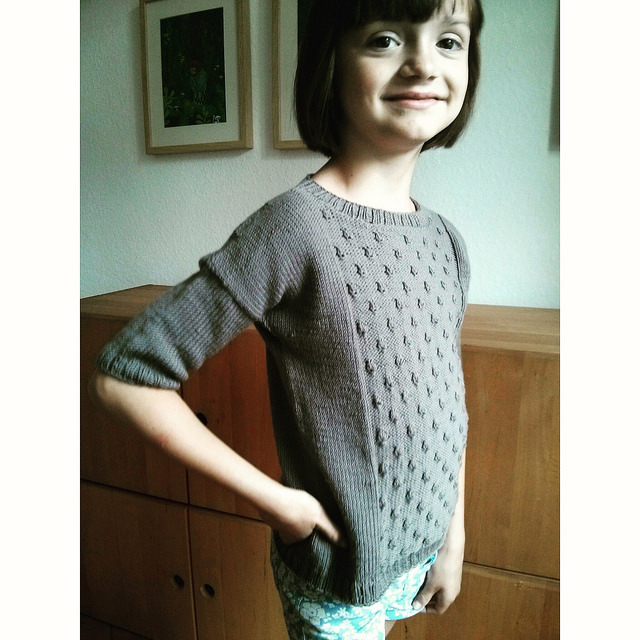 I made the sleeves shorter than in the original pattern so she can wear the sweater in the late summer and autumn. 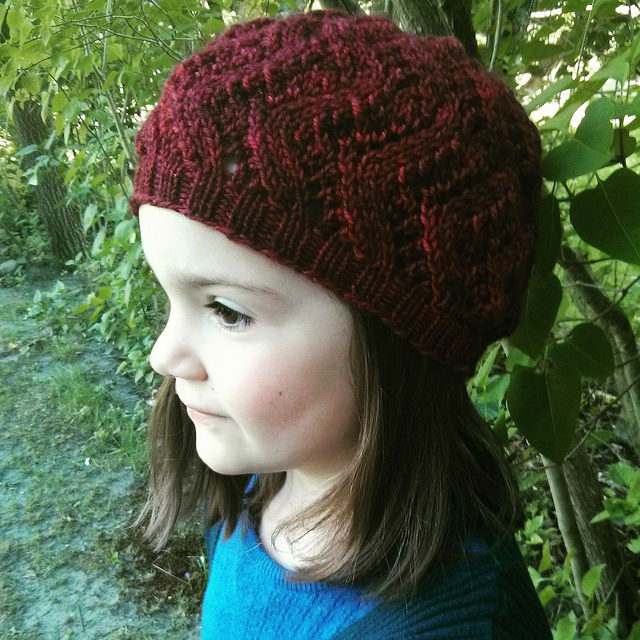 The lovely pattern is by Nadia Crétin-Lechenne a.k.a NCL knits. See my ravelry notes here. Love this cardigan! See my ravelry notes here. I don’t really have to say much about this one. 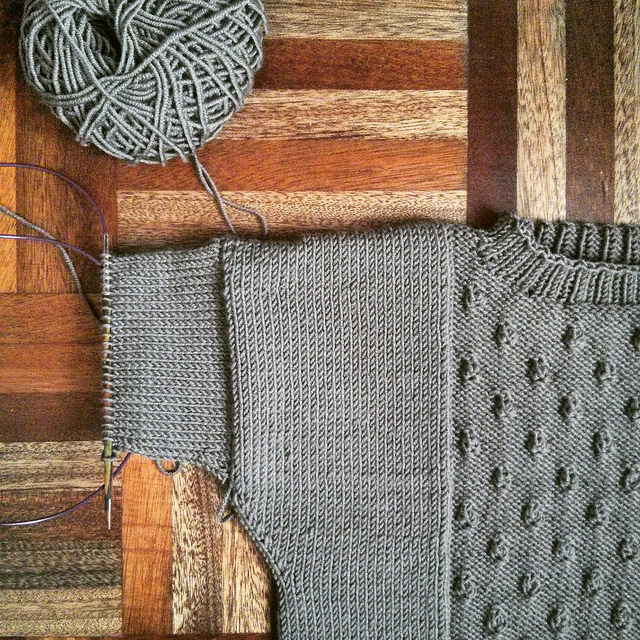 Loved the pattern, material and am in love with the finished garment. 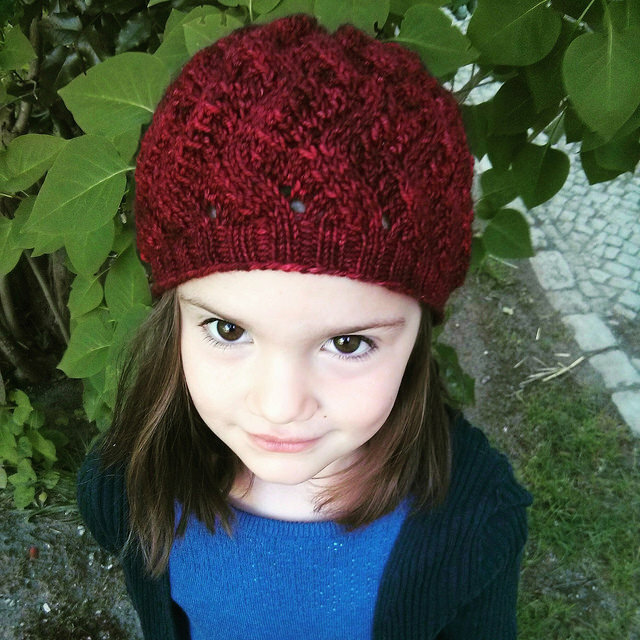 For quite some time now I have been looking for the perfect cowl pattern for my little ones. 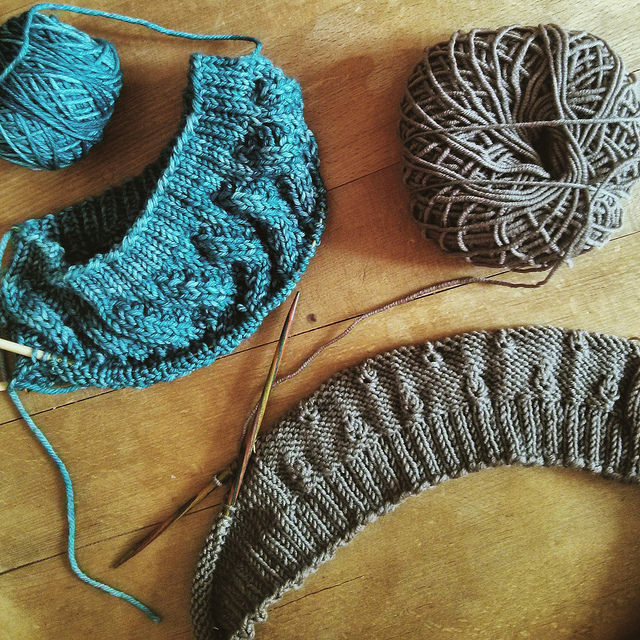 I knit a couple of cowls that turned out beautiful but also ended up being to loose around the neck like this and this. Troughout the winter it can get pretty cold around here and one needs to protect especially from the strong winter winds. When I was browsing The Purl Bee the other day I came across this pattern and I instantly knew that this would work. 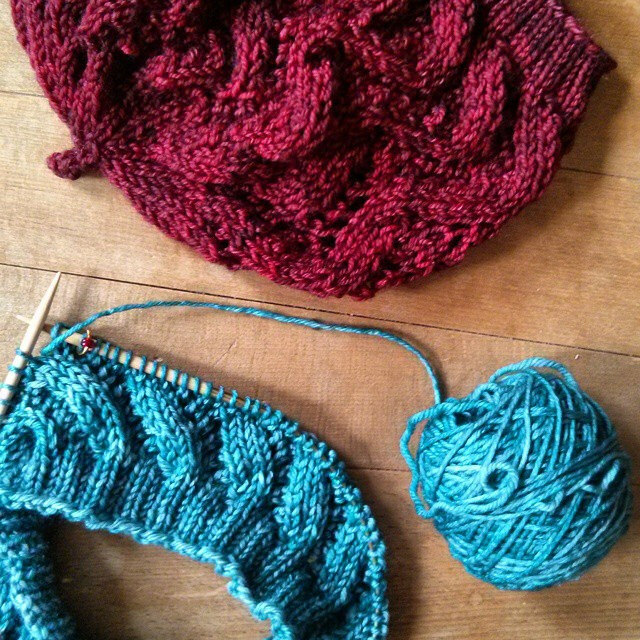 The pattern is called Structured Alpaca Cowl and calls for a worsted weight alpaca yarn. Going through my yarn stash I found three skeins of Malabrigo’s Arroyo – which is a lighter sport weight yarn. 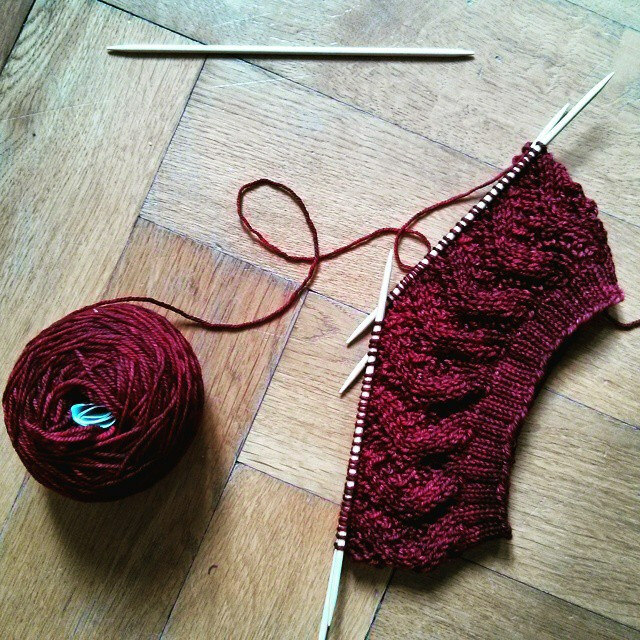 Knowing that R would love the color, I decided to knit the pattern with two strands of yarn held together and lowered the number of cast on stitches. It worked out perfectly fine, it fits great and R loves to wear her new cowl. Mission accomplished! Find my ravelry notes here. I finally found a really good fitting hat pattern! It’s the beautiful Skiff pattern by Jared Flood from the BT Fall 14 Collection. Also I knitted this as one of a couple of projects I made for the ‚Fringe and Friends Knitalong‘ hosted by the wonderful Karen Templer of Fringe Association. For yarn I chose The Fibre Company’s Organik in the Magma colorway, I have had in my stash for some time. 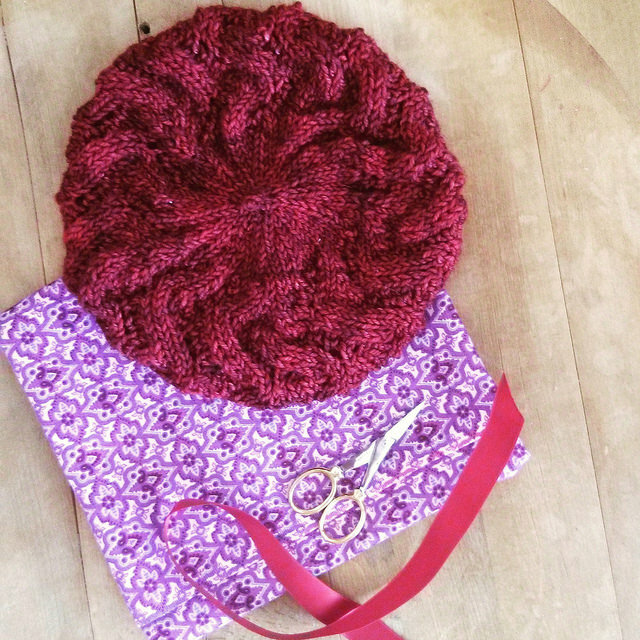 This yarn is a dream to knit with! It’s a wool – alpaca – silk blend, super soft with a very firm structure and it cables beautifully! I love it! See my ravelry notes here.